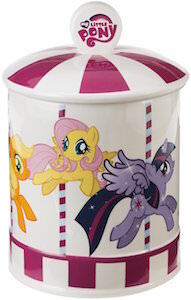 If you are or know a My Little Pony fan that loves cookies then this is the cookie jar to get. This round cookie jar looks like a carousel but instead of horses there are ponies and yes of course these are My Little Pony characters. 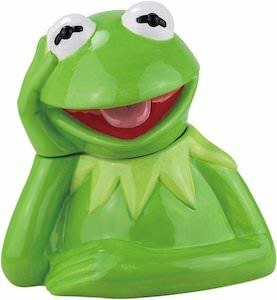 A wide mouth cookie jar like this is just what every home needs and as it is a My Little Pony cookie jar I am sure that it will get lots of attention in your home. The ceramic cookie jar has amazing details and even the My Little Pony logo on the handle on top. 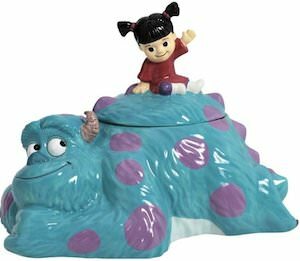 Come and check out this merry go round cookie jar as it will be loved by anyone who loves cookies even if they would not like My Little Pony. 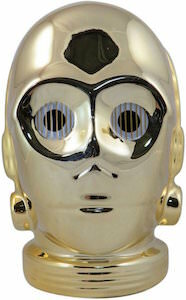 Cookie jars are great for keeping those cookie fresh and out of sight and if you like Star Wars then you may like this C-3PO cookie jar that looks just like the famous gold colored droid. The ceramic cookie jar is 9 inch tall and looks like the head of C-3PO and don’t worry it’s not his real head it’s just something that looks a lot like it and there are no electronics inside either just room for your favorite cookies. A Star Wars cookie jar is something any one wants and this one can last a long time and maybe be passed on to your children but only if they like Star Wars of course. If you like cookies then you of course need a cookie jar and this Darth Vader cookie jar is the perfect jar for your cookies. 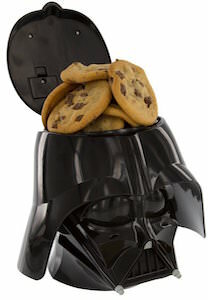 The Star Wars cookie jar is shaped like the head of Darth Vader and when you lift the top you can hear him breath. I guess Darth Vader does not like it when you eat his cookies. The Darth Vader cookie jar is 9 x 9 x 9 inch and is made from durable plastic with a liner that you can take out for easy cleaning of the crumbs left behind of those yummy cookies. Darth Vader may not be perfect but at least he has cookies. If you have been watching The Walking Dead for a while now then you know all about those aquariums full of floating heads that the Governor had. Now there is a metal cookie jar that shows those floating heads. 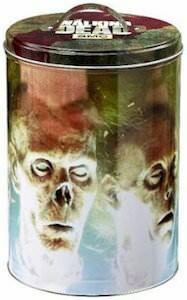 So if you want to stay away from those cookies then maybe this Walking Dead cookie jar is the way to go. The whole side of the round cookie tin is covered with this scary looking faces and on the top there you find a handle and the logo of AMC The Walking Dead. 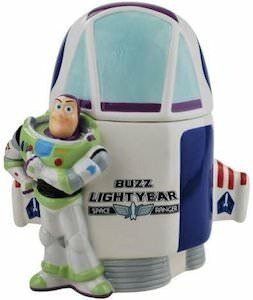 The cookie jar is about 8.5 x 6 inch and is an officially licensed product. If eating cookies is a passion you want to give up on then maybe you should come get your own The Walking Dead Governor’s Floating Heads Cookie Jar. 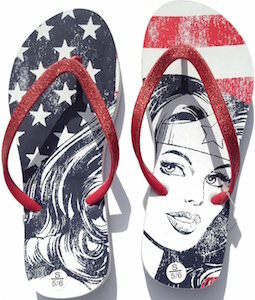 Did you know that Wonder Woman is a warrior princess that fights for justice, love, peace and equality between men and women. 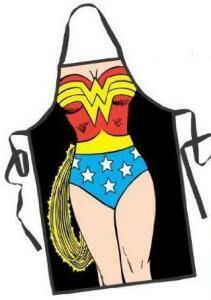 If you love protecting your cookies this Wonder Woman cookie jar will be perfect for you. 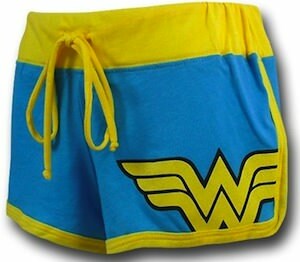 Wonder Woman is the one for the job. 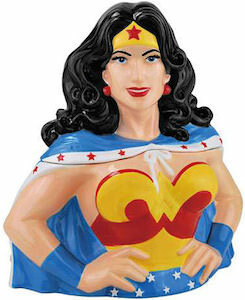 This unique ceramic cookie jar is shaped as the beautiful amazon princess Wonder Woman from the waist up in her classic costume. 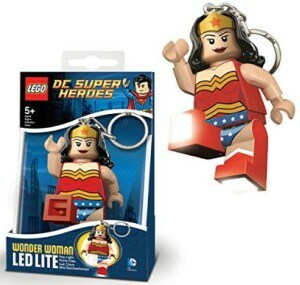 It is 11 1/2 inches tall in size. 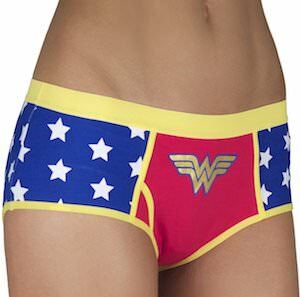 Perfect size to fill with all your favorite cookies and sit on your kitchen counter. 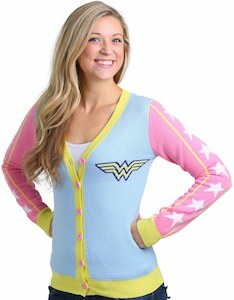 Let Wonder Woman fight your cookie thief’s and protect your cookies. Remember the dragon eggs from Game of Thrones? Now you can have your own dragon egg but it’s not really an egg that hold dragons it holds cookies and if I had to choose then cookies I would prefer above dragons. 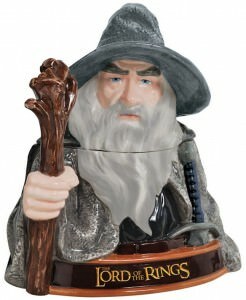 This cookie jar is modelled after the dragon egg of the TV series and is made from hand painted ceramic. 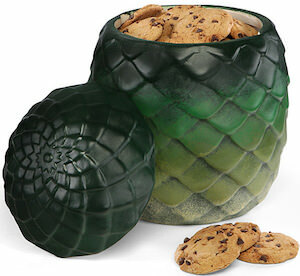 The dragon egg cookie jar is about 9 1/4″ tall and 6″ wide and that leave plenty of room for cookies. And besides cookie can you just imagine how this dragon egg will look on your bookshelf? Time to feed some hungry dragon with cookies out of this Game of Thrones Dragon Egg Cookie Jar.